Making Aircraft Interiors Better – Possibility? Or Folly? Aircraft interior design is one of those things we don't think much about but suffer mightily from. In fact, if you had asked me yesterday if anyone actually designs airplane interiors, I would have said the accounting department does. Aircraft interior design is one of those things we don't think much about but suffer mightily from. In fact, if you had asked me yesterday if anyone actually designs airplane interiors, I would have said the accounting department does. Why? Because they do things like jettison Video Players that weigh too much, or cap the waterflow in bathroom sinks because a full water tank costs too much fuel. What if you learned that engineers and architectural designers actually think about and try to improve airplane interiors? 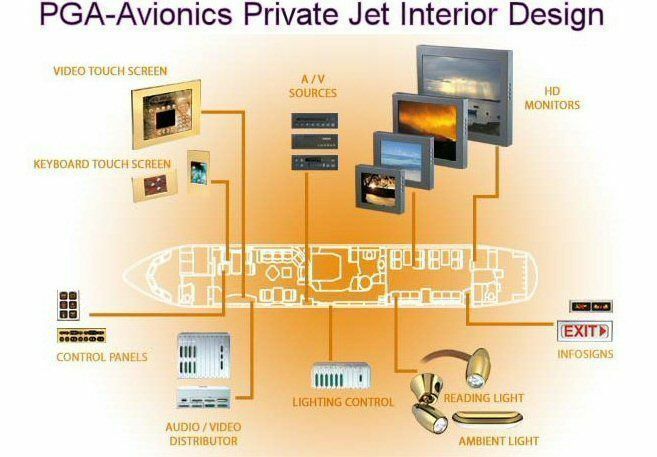 It's true; the Aircraft Interiors Expo is taking place at the Hamburg Messe from May 18-20, 2010. This global showcase features the very latest in pioneering aircraft interior design, from ultramodern cabin concepts to the latest lightweight composite materials. Some of the anticipated innovations to be announced in Hamburg include a Staggered Premium Suite concept, that uses an innovative 2-2-2 layout which allows both privacy and accessibility for first class passengers while at the same time giving an overall higher density configuration. From B/E Aerospace, this first class suite includes an electro-chromatic glass dividing screen which turns from clear to opaque at the touch of a button. Other concepts include a 3D visualisation of a truly futuristic first class cabin interior design, sponsored by Autodesk. The display includes a 40% scale model of a futuristic aircraft seat designed by The Envisage Group, using Autodesk Digital Prototyping software. To complete the picture, the ultramodern first class cabin interior design that accompanies the seat can be viewed in high definition, 3D glory thanks to HoloVis, a specialist in 3D visualisation, which is displaying this concept on large scale 3D screens. Of course, 3D glasses are included. According to the show's press department, Chameleon Products will be exhibiting its latest product, Visionairy, which introduces 3D images into the cabin environment. Chameleon says that any image can be turned into 3D and enclosed in a frame, which is aviation approved. The idea is for airlines to create their own 3D art galleries in sizes up to 2 square meters for fixing to bulkheads, cabin dividers or other areas onboard an aircraft. This is similar to an imaging innovation that the Disney company is using on their latest cruise ship. • We know some of you would prefer aircraft interiors to have sound-proof compartments where crying babies and other people's kids could safely play and nap, leaving grown-ups to a blissfully peaceful mile-high trip. Good design. • Then there are those badly designed toilets where baby diapers have to be changed at peril of flushing junior into outer space with the blue goo. Bad design. • Clogged overhead compartments where the Blazer of Damocles dangles over unwitting heads? Ditto on bad design. • Wobbly pulldown trays to balance laptop and drinks and pacifiers? Ditto. • Drinks/bar carts that bruise elbows and foreheads on armrests where baby lays her head. Ditto. Let us know what you'd like to see the airlines redesign to make your in-cabin experience a little better.